There are many reasons why I like spring, but one reason is that new families are inquiring about Sunnyside Christian School, and sometimes I get the chance to show them the school! We visit the classrooms, talk to some teachers, see the library and computer lab, etc. It’s a great chance for me to get to know these families better and answer their questions. It’s also a great way to show off the assets of our school: our teachers and students! No matter what time of day, I know that if I bring a family into a classroom, our students will be engaged with their teacher and with each other. My favorite visit was with a mom and her son. We walked into the first grade classroom, where Mrs. Schrotenboer was having devotions with her students. They closed in prayer, and soon after, we snuck out of the classroom. The little boy looked up at me and asked, “So this is a Jesus school?” He was excited, and, needless to say, so was I! Usually by the end of the tour, there is a sense of anticipation. The next step is the application process, which is quite simple: the family needs to fill out all the paperwork. The most important sheet of paper in the admissions packet is the “Pastor’s Letter of Recommendation.” We require all our families at Sunnyside Christian School to attend a Bible-believing church on a regular basis. We firmly believe that the church, home and school working together gives our students a solid base for their lives. There are some families who are going through the application process that don’t have a steady church home. We encourage these families to work on finding a church home and establish their families within that body of believers. Our students body attend over 30 churches around the Yakima Valley, and we can give recommendations of churches based on a family’s needs. After the application is completed, we have interviews with each family. These interviews usually consist of one or two administrators and a member of the admissions committee. The sole purpose of the interview is simply to get to know these families better. It’s a good chance to discuss their expectations of the school, and our expectations for them as parents. Our goal is to fulfill the desire of every family seeking a Christian education for their child or children. We are usually able to fulfill that goal for families by offering tuition aid packages for those that qualify. 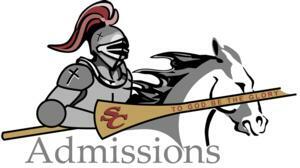 If you or someone you know is interested in Sunnyside Christian School, please contact Laura Eisenga via phone and text at 830-1894, by email, or by sending a message to our SCS Facebook page. First, congratulations to the Lady Knights, the Knights, and the Knight Cheer Squad on great seasons that culminated in a tremendous opportunity and experience in Spokane a few weeks ago. To be able to finish a long sports season’s worth of hard work by participating at the state level is a wonderful blessing and reward. Second, thank you students, parents, relatives, and fans for all the support and encouragement you provided to our athletes/coaches as they performed and instructed. Third, God has blessed us with traveling mercies, physical safety, and Christian fellowship throughout another winter season; may we give Him thanks and adore His holy name and character. Fourth, after the reception Saturday evening I drove Bus #34 back to Sunnyside. The three hour ride allowed for much thinking, especially reflecting upon a few observations I have noticed while I have been a bit more removed from coaching this year. Let me list some thoughts and musings. Being a head coach is incredibly time-consuming, not just during the official school season but also throughout the summer. If a person wants to be a competent coach, he/she better love the details of the sport and enjoy working untold hours with young people. As I have shared with a few, the time dedicated to coaching would much less demanding if all practices were early and all games at home. Coaching is extremely emotional. The spectrum of emotions (high/low) fluctuate drastically and quickly. Place adolescents and charged emotions in close proximity, and a person can imagine the stress/reactions that can occur. Coaching high school players during post-season competition when expectations are high adds another level of intensity and preparation. Not to belabor a point, but our basketball players are extremely blessed to play at the State BB Tournament and for so many consecutive years. Just to share a dose of reality, the public school boys’ basketball team from my hometown, Sheldon, Iowa, earned a trip to the Iowa State BB Tournament this year for the first time in 35 years. Their current head coach has been coaching 33 years, and this was his first ever opportunity to coach at the Big Dance. So many more thoughts could be shared, but hopefully these few enable us to again be thankful for the opportunities that we as parents and students enjoy with state athletic experiences. We’ve all heard the saying, “Ask not what your country can do for you. Ask what you can do for your country.” Now, before you think we’re asking for more service hours from you busy parents, I’m actually talking about the students. Sending children to Sunnyside Christian School is definitely an investment for our families. Tuition dollars are paying for a quality Christian education that will prepare children for academic readiness and also for life’s demands, struggles and victories. That is what our school is aiming to do for your child. But what can your child do for Sunnyside Christian School? and their classmates? I’d say a whole lot. I get a taste of the impact that students have on one another when my kids get in the car after a morning of preschool, and they tell me about all the older kids that said hi to them or pushed them on the swing. Those cute little 1st and 2nd graders are being active role models for my kids! Each class has its leaders, clowns, thinkers, writers, gigglers, followers, creators, etc. Each child has their place. 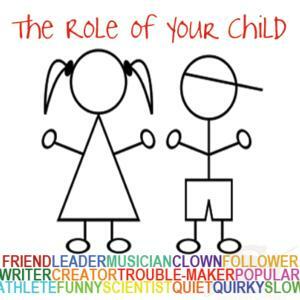 Each child fulfills a role. Each child also has weaknesses and struggles. He doesn’t understand his math homework. Her pet goldfish died. His leg hurts. Her performance at last night’s basketball game wasn’t great. He got dumped by his girlfriend, and she’s annoyed that she’s grounded for the weekend. These children, tweens and teenagers turn to each other (sometimes first!) for help, comfort, strength, advice and comedic relief! More importantly, each child at Sunnyside Christian is recognized as a Child of God who has been given talents and abilities that will help educate the children around them. Yes, these children help educate the children around him/her. By reading out loud, by answering questions, by sharing his/her artwork in the hallway, they all help educate each other. Isn’t it beautiful? We are approaching the time of year when parents will decide if they’re willing to continue their commitment to invest the time and money it takes to send their child to Sunnyside Christian. We hope parents approach this decision with much prayer. We also hope parents approach this decision with the realization that their child is important to Sunnyside Christian. Their child may be a best friend to another student. Their child may be a leader of his/her class. Their child may be the class clown that may disrupt the class once in awhile, but also makes another child smile when he’s had a bad day. Their child is about to experience a teacher that will make the lightbulb turn on and find his/her true passion. And while we realize that this child can make an impact somewhere else, may we be a little selfish by wanting these children here? We realize how important each student is to our community, and we hope you do too. As a senior in high school at SCHS, I didn't know that God would use my interest in film and a hand-held video camera to shape my heart and direct my future. I did know that being behind a camera sounded like fun, so the summer before my senior year, I saved up enough to purchase my first 8mm video camera. I carried it through the hallways and classrooms, into basketball games and school assemblies, and on field trips. By the end of the year, I had hours of footage of our senior class. Near the end of that year, all of us seniors took a few days out of school to do Career Shadowing. This program allowed us to spend time "on the job" with a professional in a business or field we were interested in. I wanted to get some hands-on experience in video editing, so I shadowed another SCHS alum, Serena (Haak) Werkhoven, at a media production company in the Tri-Cities. Those few days convinced me that video production was the career path for me. After Serena taught me how to use the editor, I poured over hours of footage and photos, and created a final video to show during our graduation ceremony. In previous years, the senior class always made a slideshow of photos to show at graduation. Mine was the first video, and I was excited to part of doing something new that helped tell a better story than just pictures alone. Slowly, God was using these experiences to plant a desire in me to be a storyteller through visual media. Because of my experiences at SCHS I also knew that I wanted the rest of my education to be faith-based as well. The Christian school environment laid the foundation for a holistic and Biblical worldview that helped me connect the deep truths of faith with my everyday life. So, after high school I looked specifically for a Christian university with a strong digital media program. Looking back it is so clear how God used Christian education to direct the course of my life and prepare me for His plans. Not only did I meet and marry an amazing, Godly woman, but I learned that my passion for video and storytelling was connected to higher purpose. It was above all to be used for God's glory. Now I work with a ministry called Lahash International using my skills to tell the stories of vulnerable kids in East Africa. In our Portland office, I create media that connects children and sponsors in meaningful relationships. Through videos, magazines, and websites, I help others see the struggles of the poor and open their eyes to how God is inviting them to make a difference. 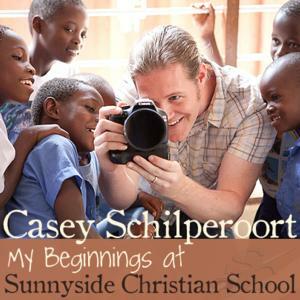 What started with a video camera in the halls of SCHS has lead me to film the stories of God's work across East Africa. His hand has been at work since the beginning, and I am so grateful for the role of Sunnyside Christian School in my own story. "May God Bless You With Discomfort"
Thank you for sharing your story, Casey! So neat to see how God can instill our passions at a young age! Brings back some good memories of high school. Casey, it was so fun reading your story & hearing / seeing how God's handiwork has been moving you through the years. Also like you said it gives us a chance to know you even better!!!! Giving THANKS for the choices your parents made on your behalf - SCS, also allowing God to use YOU & YOUR talents to bring HIM GLORY!!! Well done!